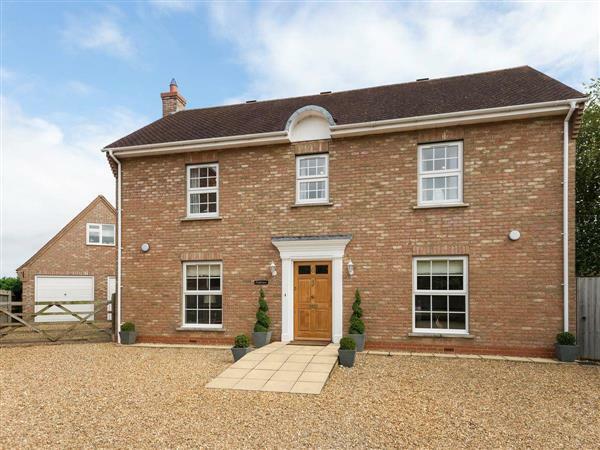 Fieldview in Doddington, Cambridgeshire sleeps 8 people. Fieldview in Doddington is a contemporary detached property, which is set in a quiet cul-de-sac close to the centre of Doddington, in the heart of the Cambridgeshire Fens, surrounded by historic towns and cities and with a wealth of rural activities on the doorstep, there really is something for everyone. Enjoy lovely walks and cycle routes straight from the door. Fieldview is also a great base from which to explore this picturesque area of Cambridgeshire, and is also close to the Norfolk border and its coastline. Sandringham and Kings Lynn are within a comfortable driving distance. London is within a 50-minute train journey from nearby Huntingdon or Peterborough train stations. The village of Doddington and neighbouring Wimblington have a range of shops and pubs serving food. The market town of March is just 5 miles, the historic city of Ely is 17 miles and the university city of Cambridge is 29 miles away. The shop is ¼ mile from Fieldview in Doddington, with the pub and restaurant ½ mile from Fieldview. Living room: With 48’’ Freeview TV, DVD player and iPod dock. Kitchen/dining room: With electric oven, gas hob, microwave, fridge, freezer, dishwasher, Freeview TV and tiled floor. Games room: With table tennis, dartboard and pool table. Gas central heating, gas, electricity, bed linen, towels and Wi-Fi included. Travel cot, highchair and stairgate. Welcome pack. Enclosed lawned garden with sitting-out area, garden furniture and barbecue. Hot tub for 7 (private). Private parking for 6 cars. No smoking. Holidays at Fieldview run from Friday to Friday. For a better idea of where Fieldview is, you can see Fieldview on the map below. Fieldview is in Cambridgeshire; should you be on the lookout for a special offer, you can find all the special offers in Cambridgeshire. It's always worth checking to see what is on offer at the moment. Do you want to holiday near Fieldview (UKC2369), you can see other cottages within 25 miles of Fieldview; have a look to find your perfect holiday location.